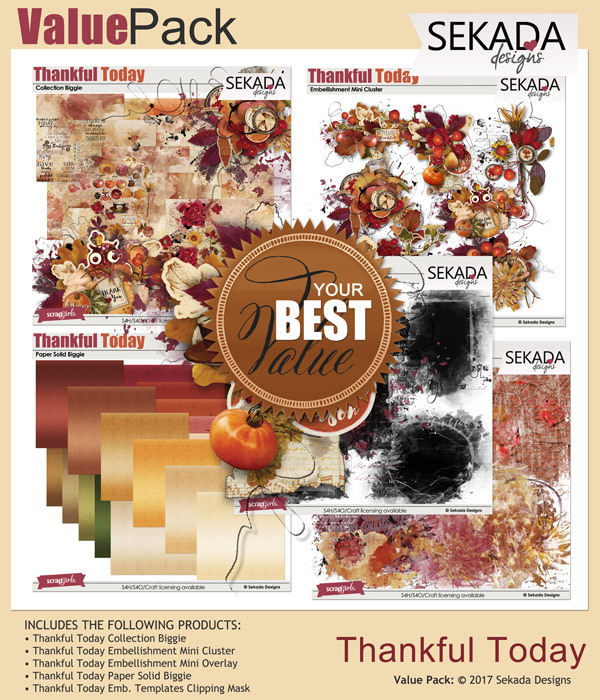 "Thankful Today" - Beautiful autumn set made in traditional colors - shades of yellow, red and brown. 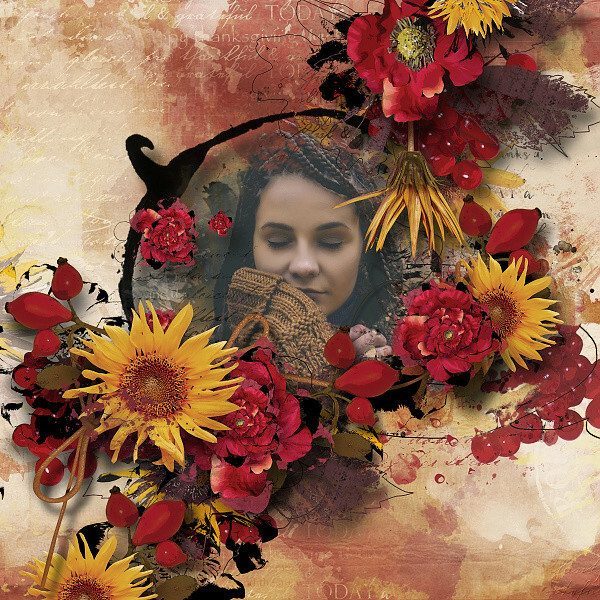 It contains a lot of autumnal elements. 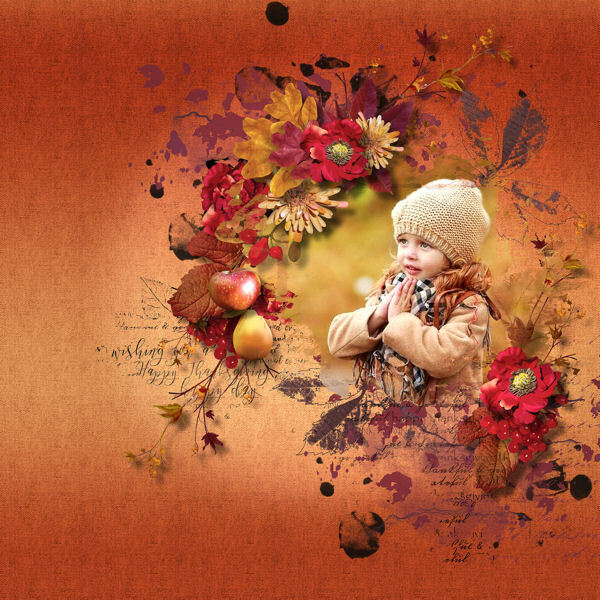 80 original autumn embellishments: All saved as .png files at 300dpi. 11 Word Arts saved as .png files, at 300 dpi. 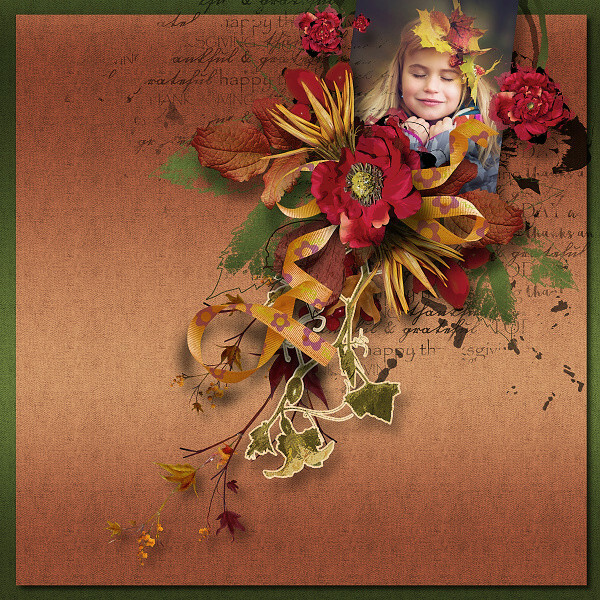 7 clusters to decorate your papers, layout and albums. All saved as .png files at 300dpi. 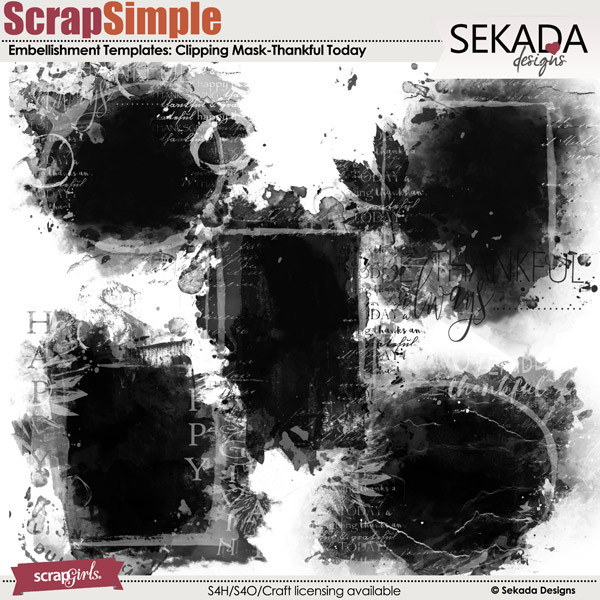 7 transfer overlays created with handpainted brushes. Brushes are large size to fit on your digital scrapbooking page. Each saved in .png format 300 dpi. 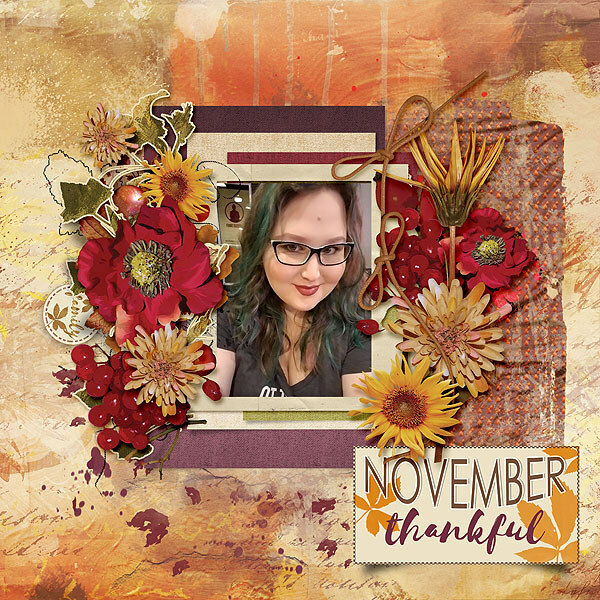 This digital scrapbooking kit evokes thoughts of long relaxing walks on the beach. The soft aquas, blues, creams, and tans mixed with florals on watercolor backgrounds; would be perfect for baby or beach layouts. Word Art that speaks of tranquility and pretty pieces of sea glass round out this digital kit. Five Christmas-themed clusters, provided in both shadowed and non-shadowed versions, to kick-start your December pages. 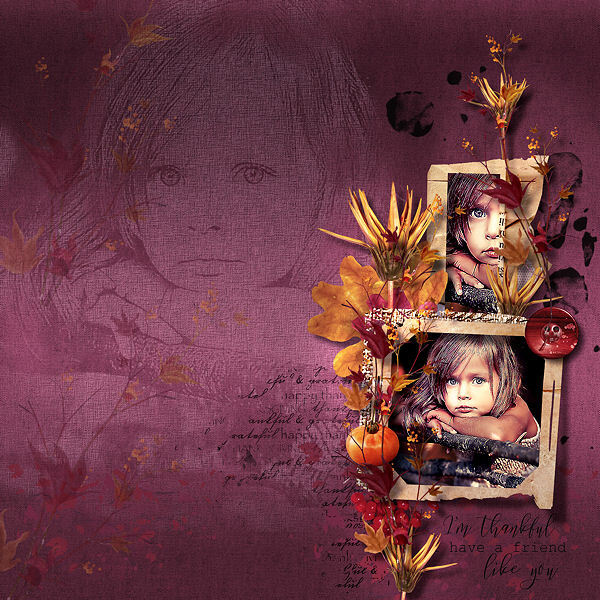 Includes 76 embellishments in png format, 16 12x12 shabby papers, 10 12x12 solid papers. Maximize your layout options with the Mermaid Cove Value Pack!